If you've ever woken up hot in the middle of the night, or have been too chilly to fall asleep, we understand how frustrating sleepless nights can be. The Nuyu Sleep System works with the body's natural circadian rhythm to help you go to sleep faster, stay asleep throughout the night, and wake up feeling more refreshed. 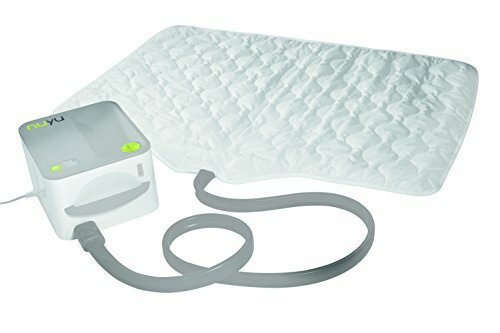 The Sleep System uses a patented temperature cycle technology, which automatically heats and cools the bed to the ideal sleep temperature. The ideal temperature is based on a proprietary algorithm, which factors in aspects like age, height, weight and ambient room temperature. The system is controlled using your Nuyu app, and also lets you track and monitor your sleep.